Irish Girl Guides just got a new badge to earn, created with an aim to encourage them to consider future careers in aviation. 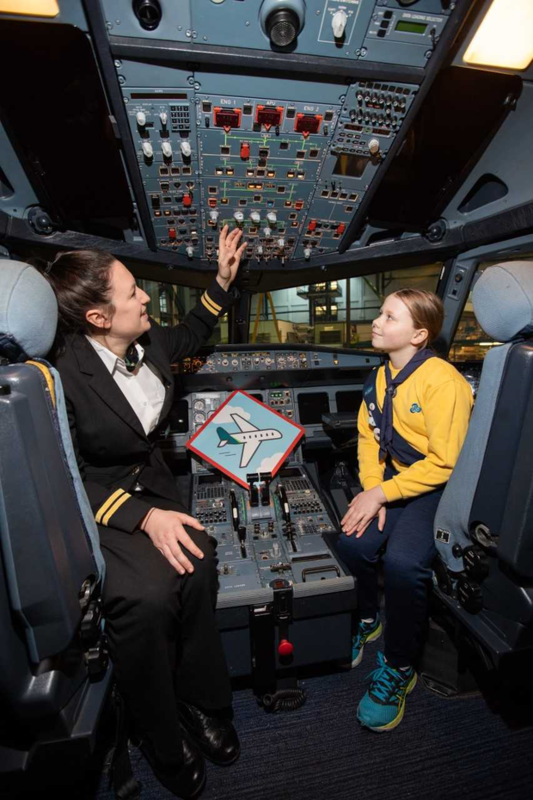 The ‘Aviation Badge’, made in partnership with Aer Lingus, intends to engage girls with the aviation sector from a young age. A tailored curriculum has been developed by both Aer Lingus and Irish Girl Guides for the three age-appropriate badge levels. Ladybirds (aged 5-7); Brownies (aged 7-10); and Guides (aged 10-14) from the 12,000 members in Ireland will all have an opportunity to earn one of the new badges. Ladybirds are required colour in a picture of an aircraft and make an object that flies such as a paperplane or kite. To earn theirs, Brownies must research different careers, in particular those of women, linked with aviation and air transportation and learn the phonetic language. Girl Guides, meanwhile, have to research the pilot profession and create their own aircraft experiments. Chief People Officer for Aer Lingus Brian Bowden said that the company wants to encourage girls to study STEM subjects and consider aviation. “Just over 5pc of airline pilots worldwide are female and only 16pc of engineering graduates in Ireland are female,” he said.